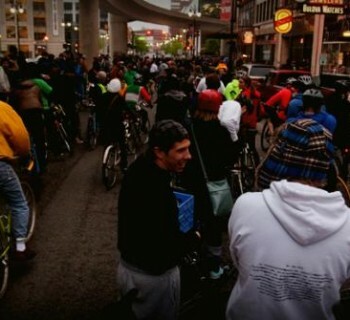 Royal Oak, Michigan — At 7:30pm tonight the Royal Oak City Commission will decide the fate of a large bicycle event made to benefit Woodward Avenue. 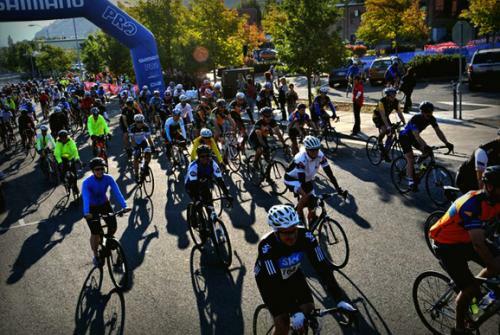 The ride, called a gran fondo, is a large bike ride through city streets in which hundreds of cyclists participate. It's kind of like a critical mass ride with more emphasis on competition. The event is proposed to raise both awareness and funds to make transportation improvements of all kinds along the Woodward Corridor from Detroit to Birmingham. Royal Oak City Manager Donald E. Johnson is recommending the commission vote 'no' vote on the bike event. The Woodward Avenue Action Association (WAAA) has been working for over a year to bring the event to Michigan and if passed in tonight's meeting, could help bring in much needed resources to help implement a multi-city complete streets network. The event will include a pre-ride race in which the best cyclists from around the planet will compete to be the first rider across the finish line after a 54-mile round trip on Woodward. The gran fondo event is scheduled for June 30, 2013 and has already been approved by the Michigan Department of Transportation.